On January 11 1922, Leonard Thompson became the first patient with diabetes to receive insulin injections. Having been close to death, Leonard lived for another 13 years. Insulin was discovered by Frederick Banting and Charles Best in early 1922, and at the time of his first injections, Leonard, who was diagnosed three years previously, had been admitted to Toronto General Hospital. He was drifting in and out of a diabetic coma and weighed only 65 pounds. Leonard’s father agreed that his son should be the first to test insulin, which had never been tried on another human being. After an impure form of insulin failed to improve Leonard’s condition initially, a purer version restored his blood glucose levels back to normal and his symptoms began to disappear. 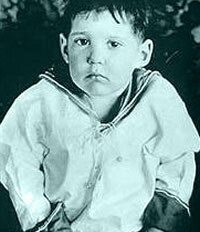 When Leonard was aged 27, 13 years after his first insulin injections, he died of pneumonia, which was thought to be a complication of his diabetes.